The perfect quality fishing holiday in Scotland! 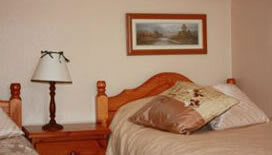 We have beautiful self-catering accomodation options. All set in an idyllic location and perfect for nearby fishing conditions. 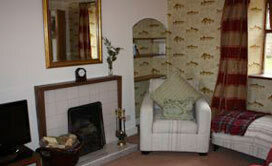 A beautiful four bedroom house with views of the river and gardens leading down to the fishing. Accommodation: Open plan on the ground floor with fully fitted kitchen diner, seating area with patio doors leading to the garden. Shower and toilet with disabled access downstairs. Full size cooker, microwave, fridge / freezer, dishwasher, autowasher, TV, DVD , Parking available. 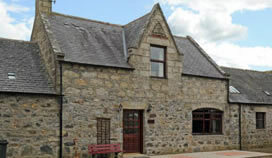 A large fishing room for guests' use is available adjacent to the Coach House. Three rods let with the Coach house during the season. Delightful spacious cottage: entrance hall leads to an open plan kitchen / diner with seating area, sitting room with log fire where gardens lead down to the river. Linen, duvets, electric blankets.Oil and electric with starter pack for open fire included. Two rods are let during the season with the cottage a further three are available. Accomodation is suitable for disabled visitors. Dogs must be kept on lead on fishing beat. .